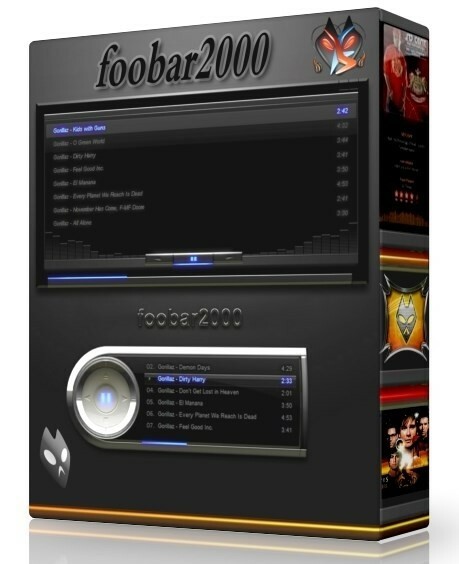 foobar2000 1.3.10 - Крошечный аудиоплеер с примитивным интерфейсом. Тем не менее, его простота и, в то же время, мощность, чтобы привлечь всех тех, кто не нуждается расфуфыренном интерфейсе, а нужен просто удобный музыкальный проигрыватель. Плеер может воспроизводить: MP3, Ogg Vorbis, MPC, FLAC, Ogg FLAC, WAV, MOD (при наличии foo_mod.dll), SPC (при наличии foo_spc.dll), Monkey's Audio (при наличии foo_ape.dll). Особенности: работа с аудио в разрешении 32-бит, чтение RAR/ZIP-архивов, поддержка юникода и плейлисты на всех языках, встроенный resempler, DSP и многое другое. Категории и теги: Программы » Мультимедиа » Скачать, Foobar2000, Музыка, Плеер, CUE, FLAC. • Fixed writing of empty ID3v2 tags when attempting to remove all attached pictures from files that do not have an ID3v2 tag yet. • Added handling of M4A tag “Conductor” metadata value. • Fixed crash on too long URLs. • Fixed reading of iTunes “compilation” flag from ID3v2.2 tags as written by default by iTunes. • Improved handling of malformed AIFF files. • Added support for raw AAC files with ID3v2 tags. Note that use of raw AAC format is discouraged, please use MP4/M4A instead. • “Add Folder” now accepts multiple selected folders if running Windows Vista or newer. • Reverted all shell integration fixes from 1.3.9 and 1.3.10 beta 1. They broke more than they fixed while attempting to work-around an obvious bug in Windows 10. • Added an advanced preferences option to override FFmpeg -strict level to allow standard-compliant 7.1 AAC decoding. • Added an advanced preferences option to disable media key event processing. • Corrected crashing on certain malformed RAR files.